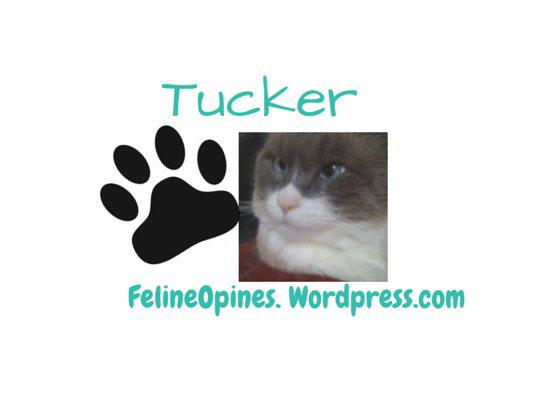 Tucker here. 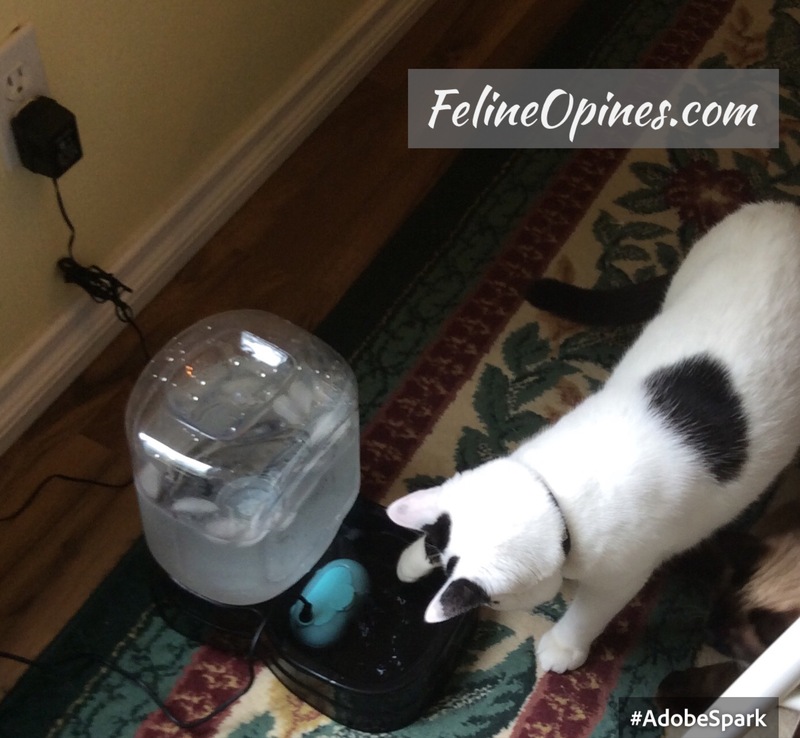 Alberto and Oliver were quite thrilled with the new water thingy the human brought home from a place she called #BlogPaws. 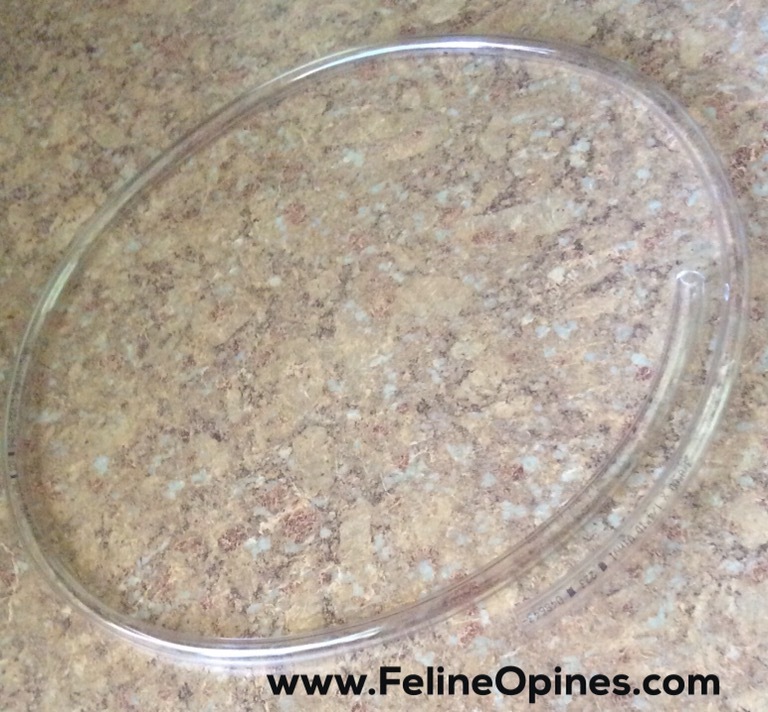 The nice folks at Pet Safe gifted her with a water filtration system and she asked me to report about it. In the first report I described Oliver and Alberto’s fascination with the moving water. As we closed our first chapter, both had posted themselves around the water thingy and looked as if they were there for the night. The humans were congratulating themselves on setting up such a wonderful thing for the Tribe of Five. (There are three of us who are still unconvinced that this set-up beats the cup on the table but time will tell). Fast forward to this morning when Oliver and Alberto were still at their posts but no water was moving in the bowl. It only took the humans a second to discover the reason. 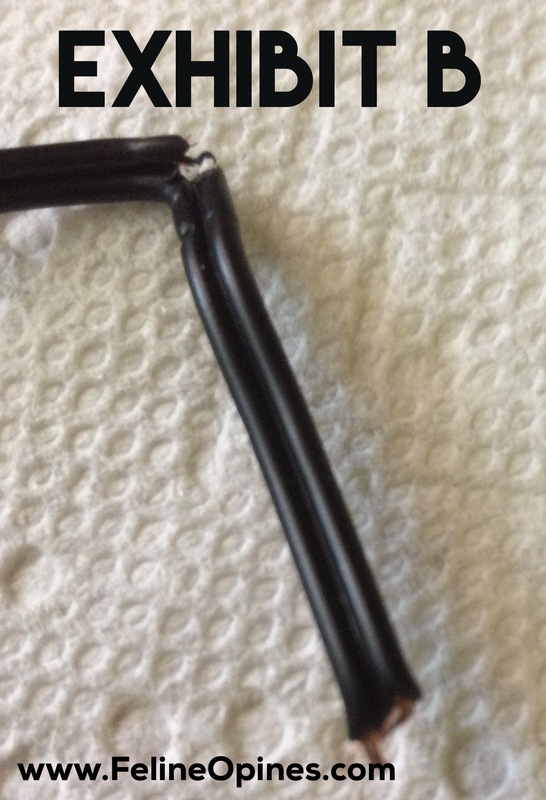 The cord of the power pack had been chewed through in three places. 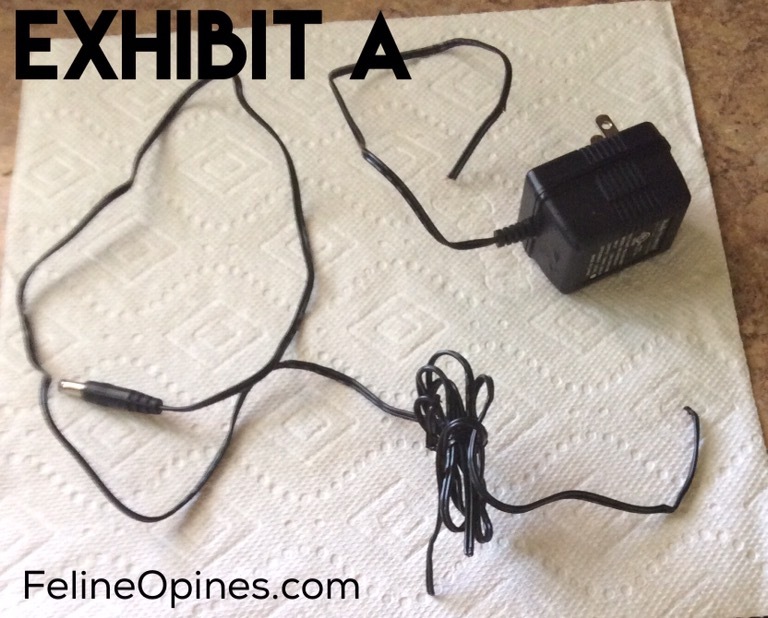 (See exhibits A & B). One thing I can say for our humans-they’re not quitters. They found a new power pack and then bought something that looks like a clear worm. I heard the male human say he was going to run the power cord through it. I don’t think the stuff they bought is easily chewable but one must take the determination and diligence of the “chewing twosome” into consideration. Kids, they’re so unpredictable . I’ll follow up as soon as we see how the human’s idea works and in the meantime, Lily, Jasmine and myself will continue to sip out of the cup on the coffee table. 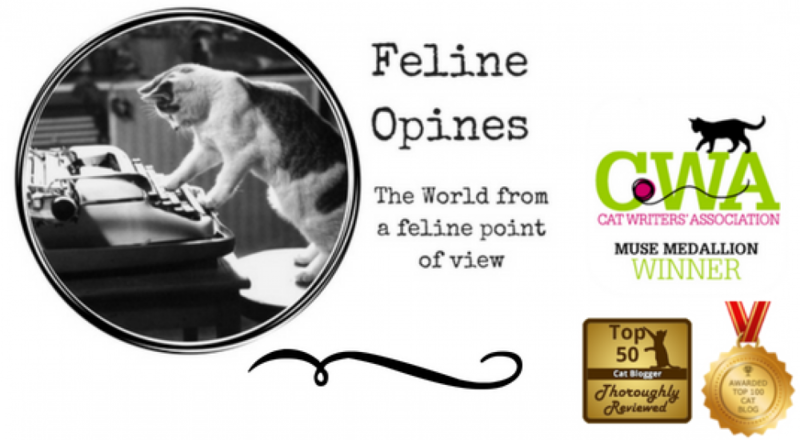 This entry was posted in BlogPaws, cat behavior, cats and tagged cats chewing on cords, cats drinking water, Pet Safe, pet water fountains by Feline Opines. Bookmark the permalink. Hmmm… who’s the guilty party? Any evidence? All evidence points to Alberto who was caught chewing through the luggage tag on my suitcase.